No idea what to choose for my final Favorite of Irish America. Let’s see…I have selected sports figures, entertainers, writers, Presidents, Grandmas, one or two people who might roll over in their graves at being referred to as Irish American, my dad, a couple of nieces, a dinner, a cake, and even a wedding dress. I think the best things about Irish America are, naturally, Irish Americans. Whether your ancestors were early colonial settlers or you are becoming a new U.S. citizen this year on the Fourth of July – and everything in between – I love the stories of how Irish immigrants become Americans. And what is even more fascinating is how the descendents of those immigrants become Irish Americans. It gets complicated. That’s it for my June Favorites of Irish America. Thanks to all the folks who have followed along, left comments, “liked” posts, and became subscribers to the blog! We will have much more on the Irish in America! Categories: Irish American Faves | Tags: favorites, identity, Irish America, Tom Hayden | Permalink. There are so many photos in our family’s collection that I absolutely love. Here is another one of my favorites. 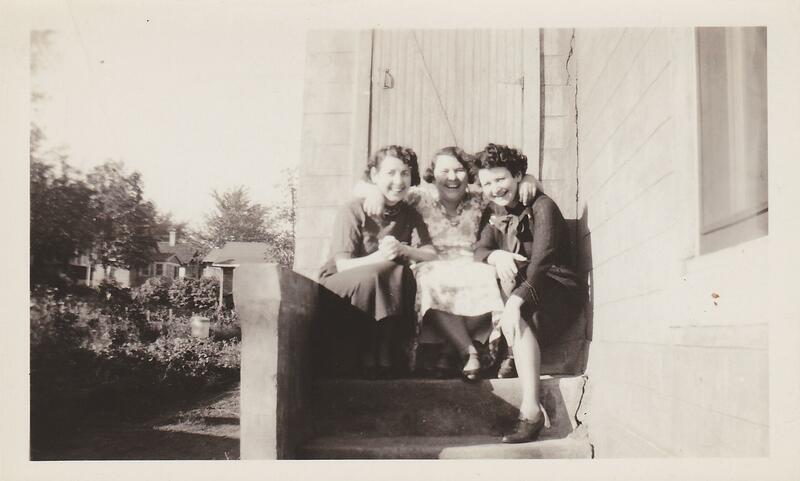 This is three of four of the McMahon girls (from left to right) Margaret, Rose, and Agnes. 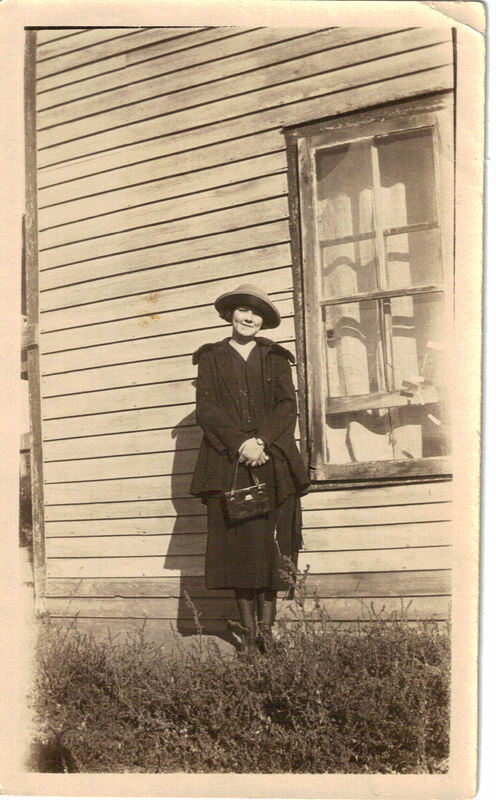 Agnes was my grandma. This photo is taken in Minneapolis in the late 1930s. 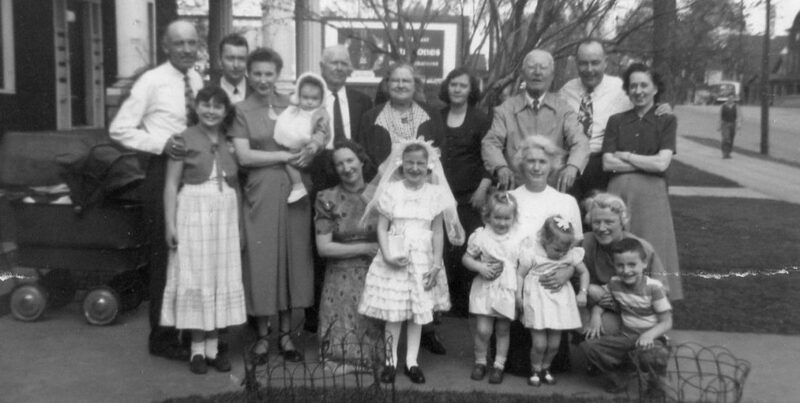 The sisters were second-generation Irish American. Looks like they were having a ball, huh? Categories: Irish American Faves | Tags: 1930s, family photos, fun times, McMahon Sisters, Minneapolis, second-generation | Permalink. With all the upsets at Wimbledon this week, I was reminded of my tennis years. In the early 1980s, I was obsessed with professional tennis. I wanted to be Chrissie Evert and was off to a promising start, winning second place among the Minneapolis Park Board eight-year-olds. I subscribed to Tennis magazine and got up early to watch all the overseas Grand Slam tournaments and always looked forward to the end of summer for the U.S. Open. John Patrick McEnroe, Jr. was born February 16, 1959. His Irish heritage came from his father, John Patrick, Sr. He grew up in Queens where he started playing tennis at age eight. McEnroe was the number one ranked tennis player in the world fourteen times. In singles, he won 3 Wimbledon titles and 4 U.S. Open. His matches against Bjorn Borg were some of my favorites. McEnroe is a fantastic doubles player and is referred to as the best doubles player, ever, by both opponents and partners. 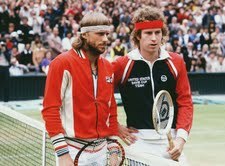 Someone also said of McEnroe that he is the best team player to not play a team sport. I contend that his outbursts on the court and bad behavior over the years simply came from his fiercely competitive nature. I wish McEnroe’s serve-and-volley brand of tennis would come back in fashion. Although, I am not sure I can say the same for his short-shorts and hairdo. And by the way, that second place finish was the highlight of my tennis career. Sadly, I was not the second coming of Chrissie Evert. Categories: Irish American Faves | Tags: Chrissie Evert, John McEnroe, tennis, U.S. Open, Wimbledon | Permalink. Today is the first anniversary of Lou Bader’s death. Lou was my dad’s good friend, a proud Irish American, and an all-around great guy. 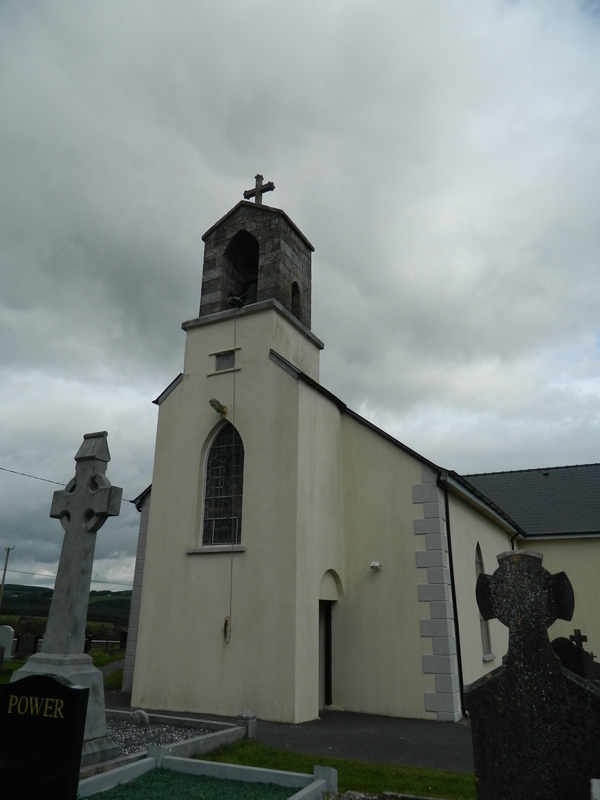 Here’s a post I wrote last year after Regan and I visited the birthplace of Lou’s maternal grandfather near Dungarvan, County Waterford. Lou definitely made an impression on his Irish relatives, and he loved his frequent trips to visit them in Ireland. Lou is dearly missed – on both sides of the Atlantic. 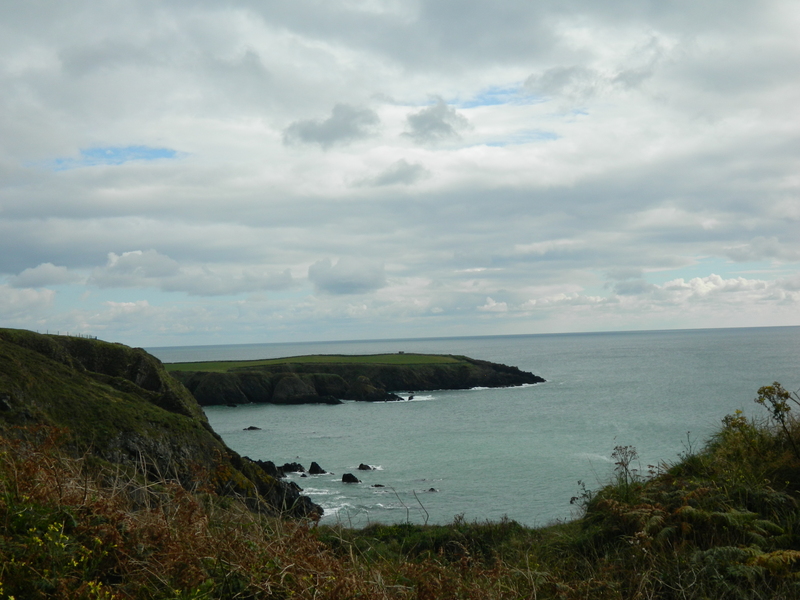 Regan and I looked forward to our visit to County Waterford last September. On previous trips to Ireland we had visited Lismore and Ardmore in Waterford, but didn’t tour the rest of the county. Our real introduction to Waterford came during the past year, through the entertaining tweets from Dungarvan’s Waterford County Museum. The museum shares beautiful photographs and historical items from their collection on Twitter. Regan and I were eager to see Dungarvan and the museum in person, as well as explore more of County Waterford. 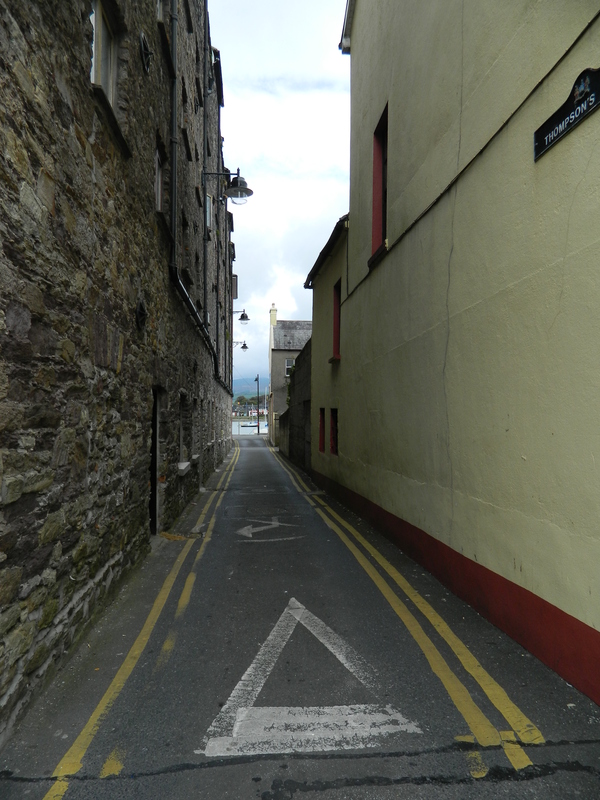 But when we arrived in Dungarvan, the sightseeing would have to wait. Regan and I had to attend to some business. Our dad’s good friend Lou Bader passed away on June 27, 2012. Louie and Dad played a lot of golf together, which probably says it all about their relationship. Louie shared my dad’s competitive streak and sense of humor, as well as his love for a few hours spent on the golf course. But there was something else the two men shared. About fifteen years ago, my dad began to explore his family history. He traced his roots back to Ballyedmond, County Laois, and found cousins living on the farm his grandfather left in the late 1880s. Louie had also been researching his family tree and had learned about his Irish grandfather through his mother’s stories. I wish I could say that Louie and my dad discovered they shared a grandfather – that would make a great story! No, Louie and my dad only shared similar questions about their family history and the wish to find out where they came from. Both men researched their family trees, traveled to their grandfathers’ birthplaces in Ireland, and made lasting connections with their Irish cousins. Several trips followed for Louie, my dad, and their families. In light of our autumn trip to Ireland, Dad asked Regan and me to do him a favor and deliver Louie’s memorial card to his cousin in Dungarvan. This was an “old-school” request and my dad’s directions (“Stop in at the cleaners in town and ask for Anne-Marie”) only added to the feeling that we were characters in a Victorian novel. But of course, anything for Louie. He was a good man and a great friend to my dad. Anne-Marie wasn’t in at the cleaners, but Mary told us how sad they all were when they heard of Louie’s passing this summer. She said how much they enjoyed his frequent telephone calls (just to check in with his Irish cousins), as well as his visits to Dungarvan. In a few short years Louie had made an impact on his Irish relatives. They really missed him. Regan and I decided we needed to do something special for Louie, so we found the little church in Ballylaneen where his grandfather was baptized, lit a candle and said a prayer. We thought of Louie and all the O’Rourkes – the ones who stayed in Ireland, those who emigrated, and the few who’ve made it back for a visit. For more information about Dungarvan and Waterford County history, please visit Waterford County Museum. Click here to read about the new Dungarvan guide book. Categories: Irish American Faves | Tags: Ballylaneen, Dungarvan, Lou Bader, Waterford | Permalink. Nothing can change my mind faster about a celebrity than the 60 Minutes (weekly television news magazine) profile. Whenever an actor or sports figure is too popular, when everyone is talking about them, I want nothing to do with them. This was the case with Derek Jeter – today’s Irish American favorite. 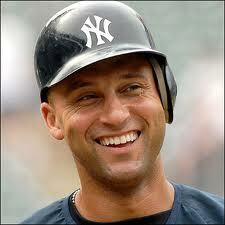 Derek Jeter is the shortstop for the New York Yankees. Before I saw the legendary Ed Bradley’s 60 Minutes profile in 2006, I never paid much attention to Derek Jeter, beyond annoyance that his team always beat my team, the Minnesota Twins. Very early in Bradley’s piece, Jeter described his first season in the minor league when he committed 52 errors. He said he would think to himself, “Maybe they won’t hit it to me again.” But of course, the very next ball was hit to him. He played shortstop; he was going to see a lot of balls. This comment immediately endeared Jeter to me. Bradley introduced Jeter’s parents. His Irish roots come from his mother, Dorothy, who had high standards for Derek, insisting he never use the word can’t. His parents required him to sign a contract each year, outlining what was acceptable and unacceptable behavior. Clearly, his parents gave him the foundation necessary to become a successful man and a great ballplayer. I learned all about his work ethic, dedication, and focus, attributes which make Derek Jeter one of the best baseball players in the game. He is a true professional and a great teammate. Derek Jeter is the real deal. Many people knew that long before I jumped on the bandwagon, but I just needed 60 Minutes to open my eyes. 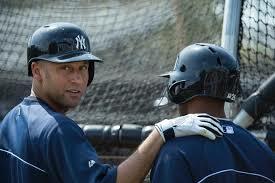 Today is Derek Jeter’s birthday – Happy Birthday and I hope you are back on the diamond soon! Categories: Irish American Faves | Tags: baseball, Derek Jeter, New York Yankees | Permalink. Did you know that 22 of the 43 American Presidents could claim some Irish heritage? And nine of the last ten Commanders-In-Chief have been Irish American? Lyndon Johnson was the spoiler there. Of course, President Kennedy is the only Irish Catholic President, ever. Click here to see the full list of our Irish American Presidents. Funny, isn’t it, how little things change? 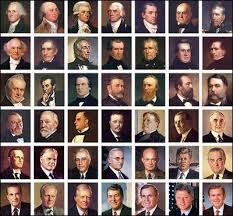 As an Irish American, I am proud of all our American Presidents with Irish heritage, aren’t you? 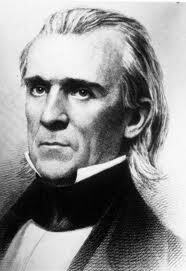 Categories: Irish American Faves | Tags: James K. Polk, Johnson, Kennedy, U.S. Presidents | Permalink. This morning, at the Cathedral of Saint Paul just up the street, is the funeral of Irish American writer Vince Flynn. I’ve purchased many of Flynn’s political thrillers over the years, but never read one. 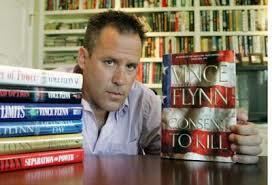 Since the late 1990s, Vince Flynn provided me with a “sure thing” when it came to buying gifts for my dad. Dad would always offer the book to me when he was finished. I declined every time – not a big fan of thrillers. My dad knew “Vinnie” since the mid-1980s. Dad was an assistant football coach at the College of Saint Thomas when Vinnie was on the team. Since I didn’t really like football, anytime I went to the games, I found other ways to pass the time. One way was to look at the game program. As I perused the roster, I paid special attention to the players with Irish last names. And there certainly were lots of them! At one time, I could have told you what number any given player wore during the period my dad coached at St. Thomas, but that was a long time ago. Vinnie could have been #89…not sure. 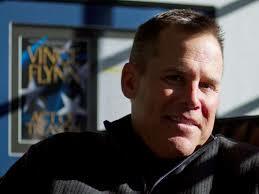 Click here to read more about Vince Flynn’s life and career. When I hear the Cathedral bells ring later this morning, I will think of the Flynn family. The world may have lost a great writer and the Irish American community is less one proud member, but his family lost a beloved son, brother, uncle, husband, and father. Categories: Irish American Faves | Tags: Cathedral of Saint Paul, family, football, Mitch Rapp, St. Paul, St. Thomas, Vince Flynn, writer | Permalink.